It seems like there’s always a food festival of one kind or another when it’s summer in Toronto. 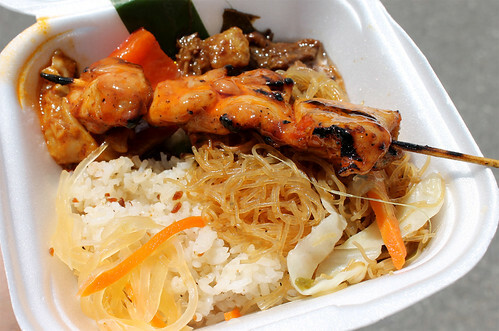 A few weeks back, I found myself in Scarborough to check out a new food festival, TO Food Fest. 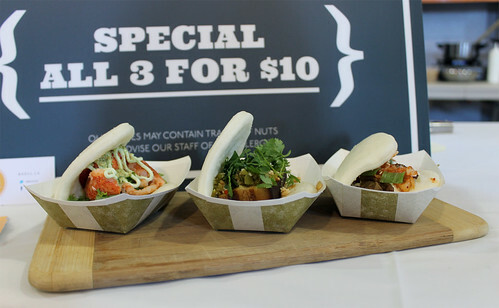 Held at the Chinese Cultural Centre of Greater Toronto, its aim was to showcase local GTA chefs who provide a unique multicultural gourmet food experience. There were a few familiar faces from the food festival scenes—notably Comida del Pueblo and Baoss, both who have since become huge hits through their start at the Toronto Underground Market, but I was especially curious to learn about some of the newer pop-up vendors at this event. The vendor I was most excited to see there was The Taco Cat. I had heard a few whispers about them through friends who had come across these guys at Night It Up! back in July, and their positive feedback had me itching to find out more about them and to try out their goods. While young, both in age (all recent university graduates) and experience, you certainly wouldn’t be able to tell with the tacos they’re dishing up. Marrying Asian flavours with one of Toronto’s continued growing food trends, the taco, The Taco Cat have come up with a very unique and intriguing menu. Tacos are topped with lemongrass braised beef, chicken satay and coconut sticky rice, or deep-fried calamari, and are well-prepared and incredibly packed with flavour. 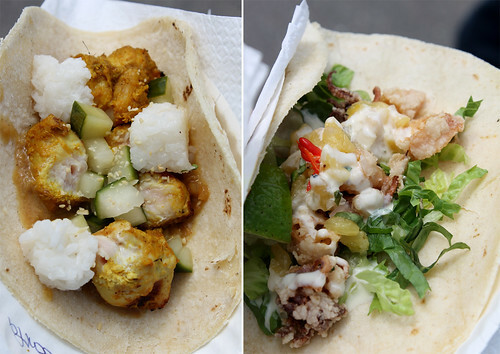 I'm a sucker for fried calamari, so it's no surprise that their calamari taco was the favourite thing I ate that day, and the sweet and spicy pineapple salsa was the perfect pairing with the crispy calamari. Watch for these guys, because I believe they could be the next big thing in Toronto. And if you’re heading to the upcoming AwesTRUCK 2012 awards, you’ll be able to check them out as they’re one of seven pop-up vendors who will be dishing up their tasty fare throughout the evening! Grub, another new pop-vendor, was serving up one of the more interesting and unique menu items that day—G.F.C. 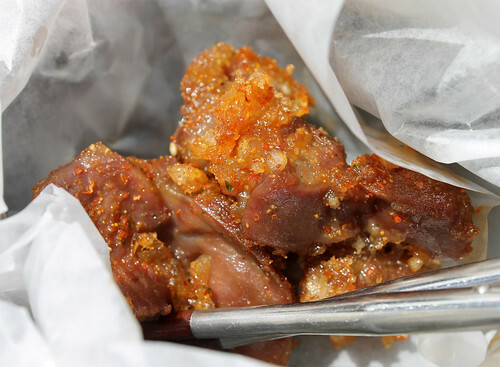 (Good F*#kin’ Chicken), deep-fried chicken gizzards seasoned with shichimi pepper. 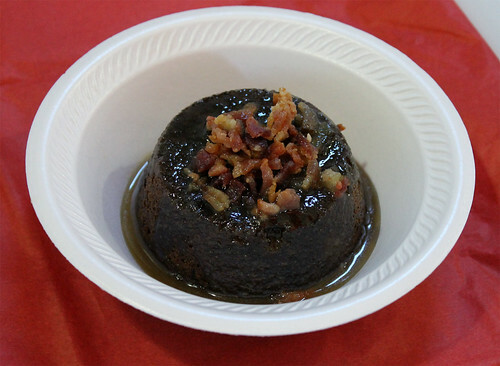 And it seems like Toronto and the GTA still hadn't gotten over their love affair with bacon, as Bake’n combined a love of desserts and bacon to bring us sweet and salty treats. 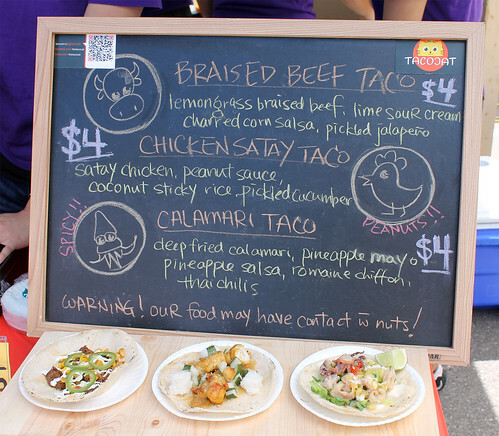 Also on hand were established restaurants and businesses, eager to showcase their fare to potential new customers. 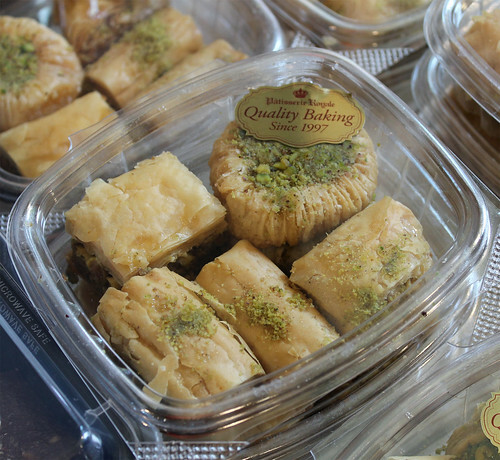 Patisserie Royale, the much-acclaimed Middle-Eastern bakery, were there with their popular baklavas. Casa Manila, located at Don Mills and York Mills, were dishing out Filipino fare., while Mary Macleod’s Shortbread satisfied our sweet tooth with their buttery, melt-in-your-mouth shortbread cookies. To wash everything down, Marathon Donuts & Coffee Shop were on hand to serve up their award-winning milk (co-owner Harvey Lin just won the international title of “Milk Tea King” in Hong Kong last week for his much stronger, more authentic version). After attending so many different summer food festivals in or near the Toronto core, like 1,000 Tastes of Toronto, food truck events, Toronto Underground Market, etc., it’s great to see more food events make their way to the GTA areas. It’s a great way to bring attention to the local businesses, and also celebrate the incredibly culinary diversity we are so fortunate to have so close at hand.